The locations of many of the County parks have been mapped.. While viewing the map, make sure to click on a park to view more information about it. 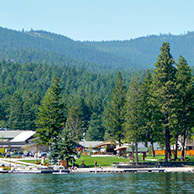 Flathead County Parks and Recreation Department strives to provide a high level of service to the community through well maintained parks, facilities, and recreational programs. The County promotes a variety of economic, social, environmental and recreation benefits through our parks and recreation facilities. To optimize resources and achieve these benefits the top priorities of the Parks and Recreation Department are to provide outdoor recreation in a natural setting with an emphasis on water access; to provide opportunities and facilities for organized team sports; and to provide a non-motorized trail system that provides large scale connectivity and safe routes to schools, parks and recreation facilities. We offer recreational activities for youth, adults and various supporting organizations in the Flathead Valley. Youth programs include t-ball for ages 5 - 8, flag football for grades 1 - 4 boys and girls, basketball for grades 1 - 2 boys and girls and grades 3 - 4 girls, and volleyball for grades 3 - 6 girls. Programs for adults include softball, flag football, basketball and volleyball. There are 32 developed open space parks, some which are available for event rentals, and the Conrad Complex Sports Facility.